Since 2005, LBG Canada companies have voted 79 times. The results to these votes have shaped the definition of community investment in Canada. Each year LBG Canada companies bring forward examples of innovation in community. These innovations are examined and discussed by the LBG Canada community. In turn, the community recommends how these issues should be included within the body of case law defining community investment. 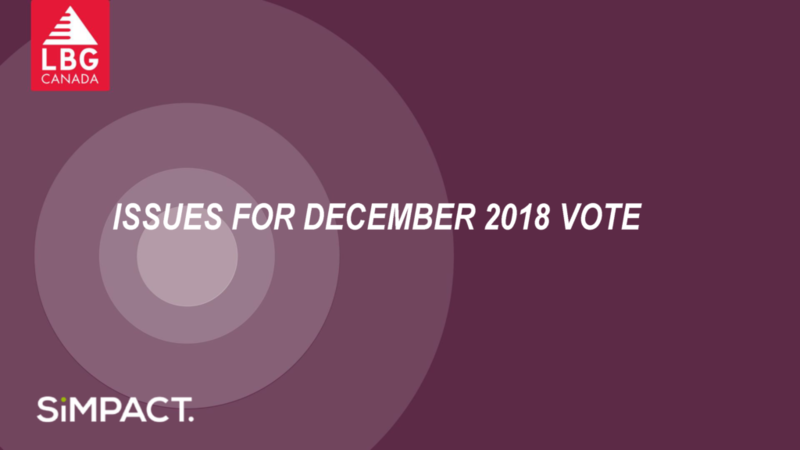 Discussions planned for 10 PST / 11 MST / 1 EST / 2 AT December 12 and December 18 will play a key role in informing each company’s vote on the 2018 issues brought forward. Click here to join us! And on the image below to review the issues to be voted on in 2018. #CIMatters.